“Time is Money”. The phrase is usually accredited to Benjamin Franklin but is challenged by others. Who said it exactly isn’t really the point of this post. When the words were first popularised Franklin spoke of time being valuable. It’s the most valuable asset that you have, priceless if you will. No matter how rich we become we’ll never be able to buy more than we’ve been given. But today I want to flip this around to help us in the quest of reaching those savings goals as a part of the #SavingSeason. As I’ve said many times before, I have a soft spot for beautiful things. There’s nothing wrong with that. I work hard and choose to treat myself when I can. But imagine this scenario for a moment if you will: You’ve worked for a full month. Earned a full wage of £1000. Your manager comes to your desk and tells you that instead of paying you this month, she’ll give you a new handbag totalling the £1000 you were expecting. Would you accept a handbag instead of your wage? Would a handbag pay your bills, or put petrol in your car? No. Yet we choose to exchange a month of working hard without giving a high priced decision as much time as it deserves. This may be an extreme example but think of it as a more frequent decision that we make every day. Would you say no to an hour’s wage for a high street coffee and panini? Would you swap a day’s pay for that new foundation and lipstick? I should say that there’s absolutely nothing wrong with choosing to spend your hard earned money in any way that you choose. We all do it. But if you think of your purchases in terms of hard worked time that you’ll never get back you’d be amazed at how your decision making starts to change. A good practice to get into is to start thinking of your purchases in terms if time rather than money. Exchanging 2 hours for this, and 15 hours for that. I bought a handbag a few weeks ago that I’d been contemplating purchasing for months. Did I save up for it myself? Yes. Did I pay the bills that needed paying before making the purchase? Yes. Do I (in my own way) deserve it? Yes. After buying it with over 100 hours of my time will I keep it?… Good question. The Givenchy Antigona Tote has been a favourite of bloggers and YouTubers for a while now. Though first released in 2011 the handbag made a comeback in 2016 which has seen variations of this handbag being draped over the arm of many celebrities. This versatile bag comes in three sizes and in many colours, ranging from the elegant black to a playful pink. The extremely functional and durable tote was designed by Riccardo Tisci with a clean design and strong geometric ornamentation. Priced between £1,000 and £1,500 (depending on size) the handbag is priced at a somewhat mid-range amount when compared to other luxury handbags brands such as Chanel. However, over £1,000 for a handbag isn’t a cost that the average handbag lover can afford to part with which is why I have been searching for the best dupes available. There are a number of dupes that can be found on the highstreet and I’ve listed some of my favourites below. So there you have it, you can achieve the same look without splashing out on the expensive price tag. Which one is your favourite? 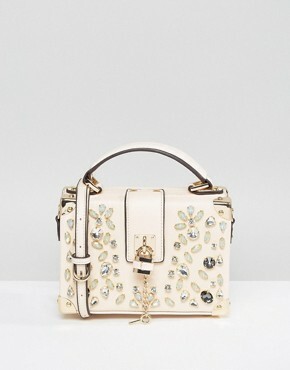 In love with the Gucci Dionysus but not the price tag? Check out these dupes too. Continuing with the #SavingSeason I thought I’d review some habits of successful savers. Bad habits are difficult to lose, but it’s easy to pick up a new habit with only a few changes in your mindset. I assume that you’re reading this post because you’re keen to start saving? I’m glad that you’ve made this decision because the changes you make to your saving habits now will determine how you spend the rest of your financial future… no pressure! The first thing you need to do is decide that you want to save! Sounds simple, but without it you won’t begin to save. You may not have any debt or financial worries but if you start saving now in an unforeseen circumstances you’ll have something to fall back on. Don’t wait until you need the money, start now. For those in a place of debt, facing up to this fact is the first step of being proactive. It’s not a point to dwell on, but time to start doing something about it. 2. Have A Goal In Mind. Once you’ve decided that you’re going to start saving the next step is to set a goal. You may be trying to pay off debt, wanting to buy your first designer handbag, or saving for a deposit for a house. When you know how much you want, or need to save you can work back from here. You can concentrate on a concrete goal so write it down somewhere that you can go back to as a reminder. 3. Put A Number On It. If you know what you’re saving for, you’re likely to be able to put a specific number on how much you want to save. Having a goal to ‘save loads’ isn’t enough to hold yourself to. Be specific. No matter how long it’ll take you to reach the number, work out how much you are working towards so you can stick to it. You need to make saving a priority. It’s far too easy to go out and buy that item you don’t really need if you haven’t put saving on your list of priorities. You may also have have multiple savings goals that need to be prioritised individually. If you have debt, prioritise this ahead of making a luxurious purchase. Once you know what’s important you know what to prioritise and what you can do without. 5. Remember, Every Little Bit Adds Up. ‘Every little helps’ isn’t jut a catchy jingle by Tesco, it’s true. You may only be able to save a few pounds each week but that few pounds will get you closer to your savings goal then saving nothing each week. £5 a week may not seem like a lot but if you stuck to this goal you’d be saving £260 a year, and that’s before you consider the interest paid on saving accounts. Consider saving £10 a week, which is equal to saying no to a couple of specialist coffees, and you’d be saving over £500 without much effort at all. It’s the small things that go toward making a big difference. Saving is great, but you need to have a way of tracking how much you have managed to save and how much you have left to save too. Tracking your savings can be a way to motivate yourself to keep going and provides a platform to review how well you are doing. I choose to do this with an Excel spreadsheet which shows how much money I have in my bank accounts this month and then compares to last month’s balance. There are a range of apps that also help you to track your savings along the way. Or if you’re a pen and paper kind of person then keep a pad in a safe place to track and review your progress regularly. ‘That’s easy for you to say’ I hear you shouting! But a few small changes will actively make it easier to save by making it inconvenient for you to spend. Setting up a separate savings account is one way to do this. If your wage goes into a current account, you can set up a standing order that sends a fixed amount to another account the day after pay day. I can’t access my saving account without going to my high street bank and asking for the money in person. This is a perfect deterrent for me as the effort isn’t worth the £20 that I really don’t need to spend. The 7 habits may not be a shock to you, and they shouldn’t be. These are simple changes to your everyday thinking that will help you towards meeting your saving goals throughout 2017. Do you have any habits that have helped on the journey of successful saving? Hi my name’s Naomi and I’m a bagaholic. I’m a reliable saver but when it comes to handbags I always struggle to say no. 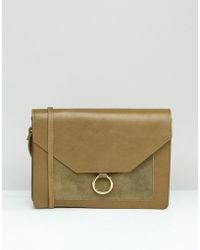 As a result, I’ve been in a position to buy a couple of ‘it’ handbags that I will keep forever and always enjoy using. Although I have a weakness for a beautiful handbag, what I have learnt throughout my purchasing journey is that there are some incredible ‘dupes’ on the market for a range of prices, many at a more affordable cost to the majority of buyers. So, I’ve had a hunt for some of the top ‘it’ handbag dupes of the moment, to show you that you don’t have to spend hundreds (or thousands!) to enjoy a similar look as part of my #SavingSeason. This week I’ll be showcasing those inspired by the Gucci Dionysus. Priced at £1420 the Gucci Dionysus is quite modestly priced in comparison to many other ‘it’ bags, but do you need to spend this amount to stay on trend? Gucci has made a wonderful comeback in 2016 and is now regularly seen as a brand worn by bloggers and YouTubers alike. From the Gucci loafers to this beautiful bag, the brand has gone through somewhat of a revival which has seen the Gucci Dionysus make a statement in the fashion world. The unmistakable monogram print would have to be faked to truly resemble the bag, and while I don’t encourage heading to a blatant fake for personal reasons, I would direct you to the following bags which carry a great deal of Gucci inspired style. So why not try the look with one of these beautifully inspired handbags? It’s January already… can you believe it? Christmas is over and New Year greeted us with a bang. The festive period can be a costly one as we want to excite others with the treasures that we’ve found for them. I’m always tempted to leave my Christmas shopping until the Boxing Day sales where the same gifts could be half price, but in reality the look on a loved one’s face on the big day is worth the full cost of the gift. January is a time that we make Resolutions to improve ourselves and different parts of our lives. Coming out of the expensive season, one Resolution that I believe we could all make is to set and meet some savings goals. With this is mind, I’m declaring January at naomisophia.com the #SavingSeason! Over the next month my posts will be dedicated to saving, budgeting and all things practical to help you reach you savings goals in 2017. I promise to not hit you with hard financial information that would bore even the keenest saver, but rather, I’ll offer some practical advice that I’ve found helpful in the past to meet my savings goals. This won’t be a month of telling you that you can’t spend even a penny, but rather, how to make sensible choices to save while still doing you. I’ve always been a keen saver. The warm, excited feeling that you may get when you see or buy a beautiful handbag, or luxury beauty product, is the same feeling that I get as I watch my bank balance grow. You may ask, ‘how can you talk about spending while also telling me to save?’ or ‘does saving really fit in with your blog when your previous posts are encouraging me to buy?’. They’re valid questions that I considered before launching the #SavingSeason. Unless you’re in serious debt, I don’t believe that spending and saving have to be exclusive. You can buy what you need while also reaching your savings goals and this is what I hope to convey throughout the month of January. So, if you’ve resolved to hit a savings target in 2017, or think that maybe you should, then stick with me throughout the #SavingSeason!